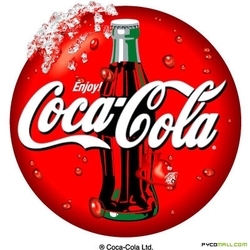 The Atlanta-based Coca-ColaCompany is the world's largest beverage company, producing nearly 400 beverage brands in over 200 countries around the world. As well as Coca-Cola, recognised as the world's best-known brand, the companymarkets four of the world's top five soft drink brands, including diet Coke, Fanta and Sprite. The companyalso has ownership interests in a number of bottling and canning operations worldwide. Coca Cola has a very good track record of increasing dividends to shareholders. NOTE: On July 27th, 2012 there was a two-for-one stock split. Dividend amount have been adjusted to reflect the split.